Unimother 27 is the one-man band of Italy’s Pierro Ranalli. I enthusiastically reviewed his first CD in the previous issue of AI, and was looking very forward to hearing his latest effort. So was I pleased or disappointed? It was a little of both, to be honest. On his first album, Ranalli explored a purely instrumental sound, delving deep into his own take on the Krautrock styles of early Tangerine Dream and Klaus Schulze, not just utilizing organs and synths, but also guitar and percussion. There is some of that to be found on Escape From the Ephemeral Mind. But things kick off this time in a different way, with the dark, droning rock of Homo.….Sapiens? The immediate difference noticed is the groaning, heavily echoed vocals. We hear a similar style on other tracks such as Whispers From the Center, which sounds like a more druggy, psychedelic Rob Zombie. Don’t get me wrong, I’m all for artists expanding, growing, and exploring new ideas. I just felt that Ranalli was such a startling innovator in the styles of Krautrock, I expected a little more from him in any new directions he might take. Unfortunately, the heavier rock-oriented tracks lack the excitement and energy of his more experimental voyages, with perhaps the exception of Warm Embrace, which is a pretty cool tune with a nifty, catchy piano-like refrain. Not to worry though, there is still some of the more experimental instrumental stuff to be found on the album, starting with the atmospheric Stars Carousel, with its guitar sequences layered with shimmering drones and a deep, moaning lead guitar. Then there’s Crying From the Violet Room, another moody but more rhythmic journey with some lovely guitar playing. Ranalli does make an innovative use of vocals in the complex Pray With Me, which has him layering the distorted voice of Paramahansa Yogananda reading “Prayer at Noon” with intense, jangling guitars noodling around on Eastern scales, throbbing deeper guitar riffing, spacey synths and sitar-like echoes ricocheting though it all to a hammering beat. I admit my comments on this are largely just a taste thing. 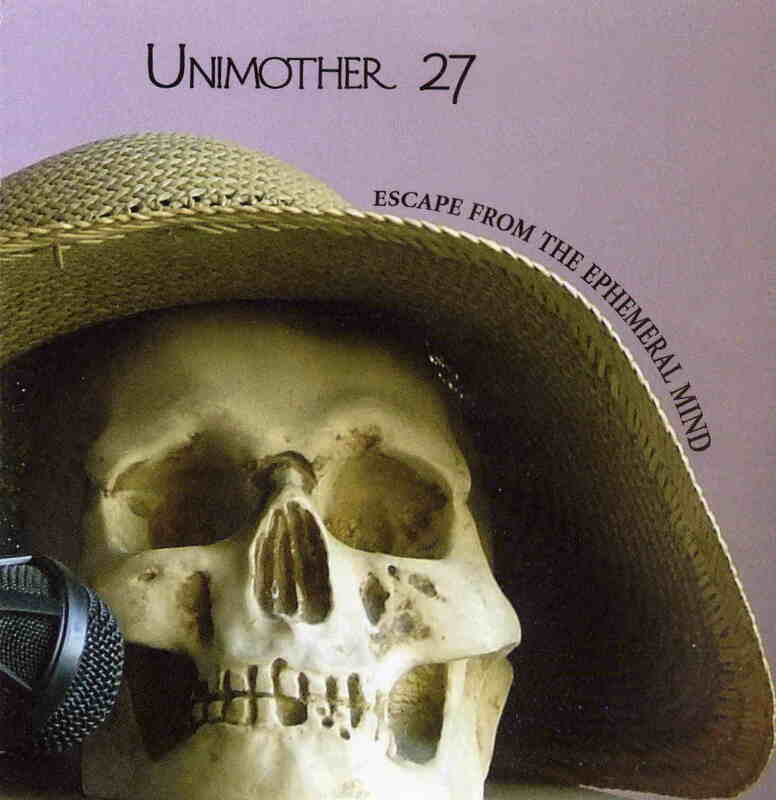 I’m sure there are some listeners who would have found the first Unimother 27 album a difficult listen, and would prefer the more relative simplicity and pounding beats of the tracks on Escape From the Ephemeral Mind. And let’s be honest, compared to the commercial world of music at large, this album is still pretty cool stuff.